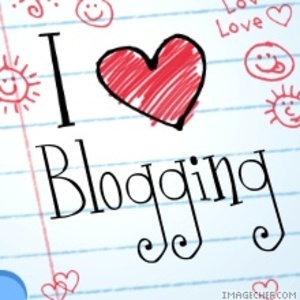 Karen Woodward: Writers & Blogging: Should You Host Your Own Blog? Writers & Blogging: Should You Host Your Own Blog? Jane Friedman has published a terrific blog post today about whether writers should host their own blog or go through a free service like Blogger.com or a free-to-start service like Wordpress.com. Jane comes down firmly on the "thou shalt self-host," side of things and makes excellent points. For instance, free services can be much more limiting (in design, in your ability to monetize, etc.) than one you have complete control over. For instance, websites can and do get hacked. Kristine Kathryn Rusch experienced this firsthand in May. She ended up paying a specialist to fix the problem and help her restore the website. Kris hasn't blogged about how much it cost her but I don't imagine it was cheap. Kris has been making a living through her writing for decades and her website is, I imagine, an integral part of her business so it makes good business sense for her to spend money on it. Someone just starting out and trying to do everything on a shoestring budget might not want to take on this kind of responsibility, this kind of risk. Some writers--J.A. Konrath for instance--employ a mixed strategy. They host their blog on a free site like Blogger.com and then set up a website in a hosting account they pay for and control. I suspect that, like me, Joe started blogging on Blogger.com and then realized he needed a website but didn't want to move his blog. - Although you should back up your blog regularly, just in case, you don't have to sweat the technical issues like combating hackers, fixing broken software and upgrading software. You have professional website admins taking care of all this for you behind the scenes. For free. - Spikes in traffic. What would happen if your blog got featured on Reddit? My guess is it would go down. Blogger.com, on the other hand, will likely keep your blog up and running even under the most extreme conditions. You might be thinking that it's not at all likely your blog will be featured on Reddit. That may be the case, but even more modest spikes in traffic can bring down a site and I like to be prepared. Although my little blog definitely gets far less traffic than Joe Konrath's (his landing page has a Google page rank of 6!) I've had a few spikes in traffic and I enjoy not having to worry about whether my blog can handle it. Whatever you decide to do, getting out there and blogging is better than not blogging so my advice is: don't over-think it. Do what feels right for you. I've used blogger since 2007 and I'm very happy with it. However, it seems like most authors are going the WordPress route, which isn't bad either. For your own website, it's true that you get more control, and hosting costs are so cheap now. But you have to get into the geekness of HTML, CSS, and so on (that or pay someone a truckload of money to do it for you). Also, if you have ways for users to add content, upload files, and anything else...look out. If you don't know what you're doing this can be a very serious security concern. Blogger and WordPress are great for people who don't have those technical skills, but I hope to see authors become more technical and learn how to DIY their own websites in the future. Our company website is all down from the ground up and it provides a lot of flexibility, but it took a long, long time to get it right. Totally worth it though.